Bruce Lowthers serves as chief operating officer of the Integrated Financial Solutions (IFS) organization. In this role, Lowthers is responsible for developing and delivering FIS’ banking, wealth, payments and treasury offerings for financial institutions, retail, government and corporate clients in North America. Previously, Lowthers served FIS in a number of executive positions including head of the company’s Payments business, head of Product Sales and Global Sales Operations and general manager of the Global Payments Software business. 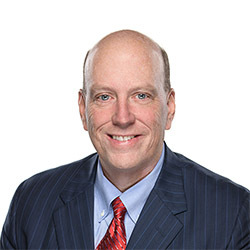 Prior to joining FIS, Lowthers held the position of senior vice president of Community Markets for eFunds, where he was responsible for the P&L for all payment and risk products for that market. He also held executive officer positions at four startup companies. Lowthers serves on the board of P20, the new transatlantic payment experience. He also serves on the American Transaction Processors Coalition and the Armed Forces Financial Network. Lowthers was named 2017 “Maverick of the Year” by The American Business Awards and International Business Awards and “World’s Most Influential Payments Professional” by the World Payments Congress. Lowthers holds a bachelor’s degree in business administration from the University of Massachusetts and began his career as a certified public accountant.